The other surprise comes when it is put on the player, as this is in many ways the most AOR-oriented and melodically friendly album they have released to date. In the last three albums the band have changed for each release, but never so dramatically that they would lose fans, but instead have taken them on a journey. I am a huge fan of Neal Morse, in whatever band he has been involved with, but he does have a very recognisable style of writing and performing. Here SB have evolved, with Ted's wonderful vocals allowing the band to switch into songs which wouldn't sound out of place on a commercial rock radio station. Whether it is the acoustic guitar interplay on Somebody's Home or the more bombastic opener To Breathe Another Day this is an easy enjoy progtastic romp which had me smiling the very first time I played it and has kept me happy ever since. Yes, there are bits that come across as Kansas with wonderful harmonies, but I like Kansas! 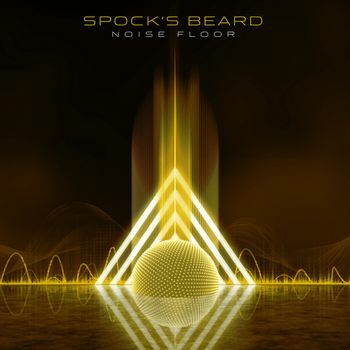 Each Spock's Beard album keeps the listener wondering what the next one will be like, and it is a real shame I can't ever see them playing down here as I would love to catch these guys touring this.